Olive, sun dried tomato and basil pesto makes the perfect party food or aperitif. We often have occasion to visit our partnering stores in order to introduce you to some of the less familiar products in our growing repertoire. 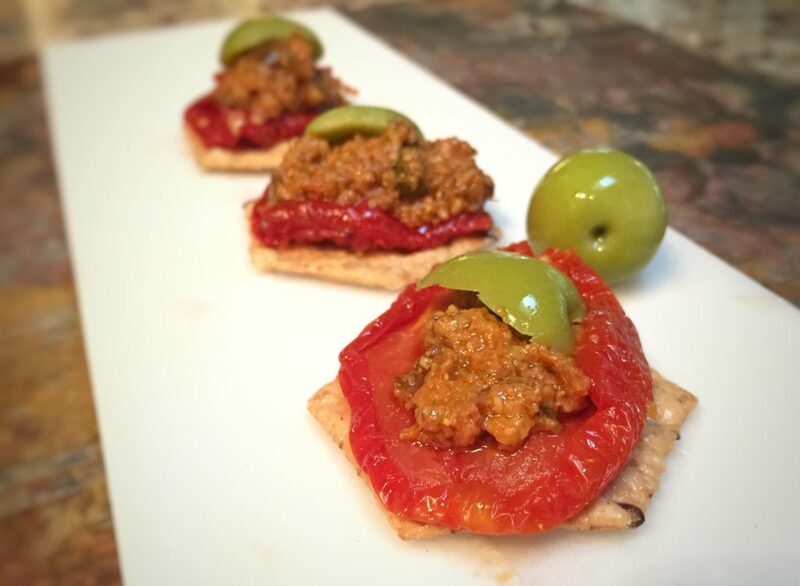 Piero’s olive tapenade is one such product. Piero is the head of the Department of Agriculture in the region of Lazio, Italy. He holds a doctorate and specializes in everything to do with olives. 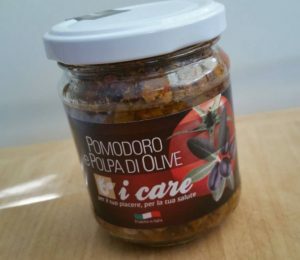 He is the inspiration and adviser to our Adopt An Olive Tree project, as well as having olive groves of his own in the beautiful medieval village of Vallecorsa, within the Ausoni moutains 60 miles south of Rome. 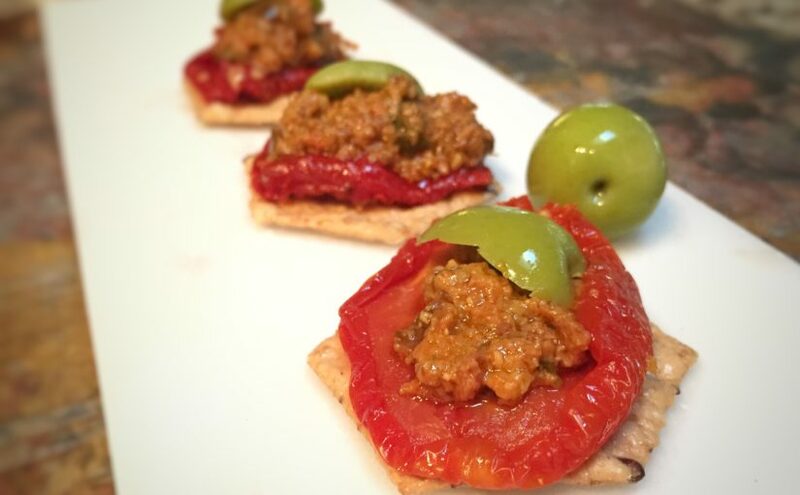 You can often find Piero in a small building hidden among his olive grows, in which he and a small team of villagers are creating two types of simple olive tapenade, one with chili and one with sun dried tomatoes. 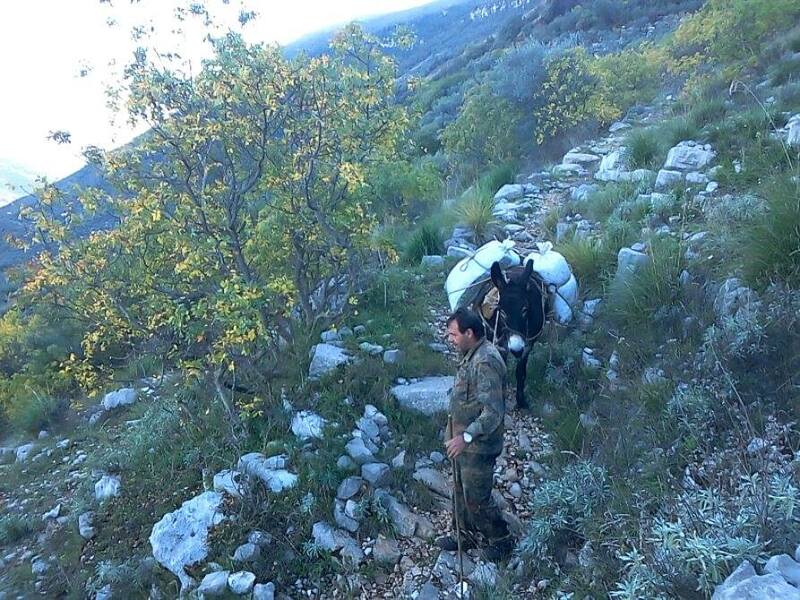 During olive picking season, the mountains are sprinkled with people collecting each olive by hand. These same olives are either turned into extra virgin olive oil or preserved in brine and later used to make Piero’s tapenades. We often take visitors to the mountains to introduce them to the way of life there. 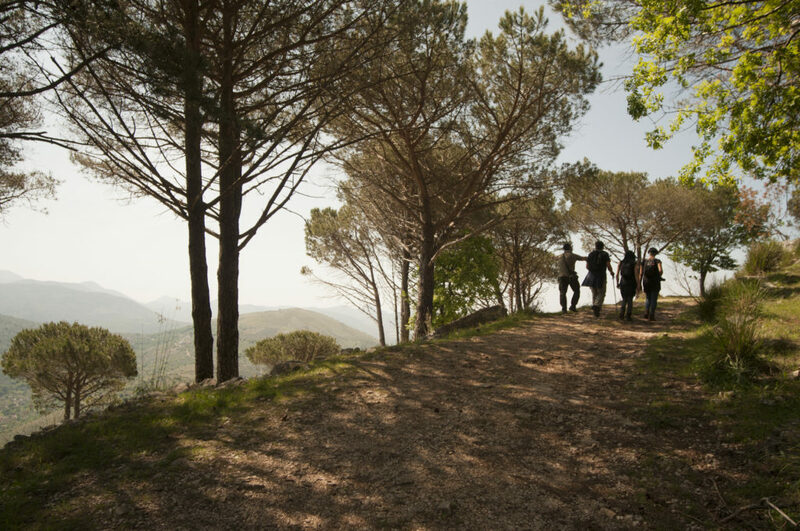 People live in very small communities and many of them have olives groves that have been in their family for many, many years. Our Adopt An Olive Tree project is to help sustain these small communities and maintain the wealth of olive farming knowledge that has been handed down to them. We invite everyone to come and help us bring in the years olive harvest in order to better understand the culture, and maybe one day, it will be you. 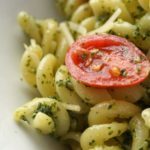 Combine the ingredients well and use as a dip, sauce to serve hot or chilled, add to salad dressings, hummus or cream cheese. 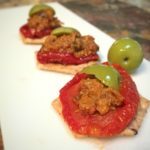 We served ours on a small sesame cracker, over a slice of sun dried tomato and topped it with a slice of Castelvetrano olive.